IPS is a certified AAEON Premier Value Added Reseller for all Panel PC's used in SCADA and Industrial Automation Applications. Indusoft Certified Systems Integrator. Please contact us for all your SCADA, HMI, Specialized GUI Applications. AutomationDirect Products Certified Systems Integrator. Design, program, and install AutomationDirect core products such as PLCs, HMIs, AC Drives and Servos. As a San Diego, California based automation and control systems integrator, Industrial Prosoft Solutions provides automation and control upgrades to manufacturing equipment that can increase your manufacturing efficiency, decrease your waste, and reduce your labor and maintenance costs. We have extensive experience in programming Programmable Logic Controller (PLC) based controls and PC-based Human Machine Interfaces (HMI) as well as Visual Basic.net/C# interfaces. Our programming, panel building and startup expertise has been applied to many industries for both the design and start up of entire manufacturing lines. We also use industry-standard tools such as Microsoft Visual Studio and AutoCAD to develop custom solutions that tie the plant floor to the rest of the enterprise. Our customers rely on our HMI design capabilities to design an intuitive, easy to use machine interface. Whether you expect reduced human error on machine operation and clear alarms that ease the troubleshooting of a failed part or require integration of the machine operating parameters or inventory consumed for MRP or ERP systems, Industrial Prosoft Solutions has the experience to implement these functions and more. Our engineering staff will implement OEE across your production facility including connecting all of your equipment to the network to gather necessary information from all your PLC's, OPC's, Processors, etc. OEE is an individual component of a plant's overall measurement of key performance indicators (KPI). "OEE is the simplest KPI there is. It measures how much stuff I made that I can sell vs. how much I could have made if I did everything right. "If you're not measuring that, you're out of business." Ultimately, OEE helps plant operators fine-tune their equipment to improve production. "The goal of OEE is get more products out of the door. You try to find the hidden capacity to increase the amount of production without having to invest. "If you're getting 80 percent quality, you want to find out where that other 20 percent is and figure out how to improve that 80 percent number." Industrial Prosoft Solutions experience with retrofitting older machinery with new controls and control systems is unmatched in California. In project after project, we have added years of new life to old machinery and greatly expanded the functionality of that machinery through integration of modern PLCs, PLC Programming and proving a modern HMI for the operator. Retrofitting existing machines and process lines with new controls can create tremendous savings and has enabled our customers to improve their position in a competitive market. We provide systems to monitor and record your plant floor processes for quality control and certification. We save our customers thousands of dollars by monitoring variables such as current draw, temperature, vibration and chemical composition. Industrial Prosoft Solutions has started up manufacturing machinery and control systems in a wide range of industries. Our problem solving and service-call skills combined with this experience has been so valuable to some of our customers that they contract us to lead the start-up of all their new equipment . Our customers have the confidence in us because they know from experience, that we will bring their new machinery to production efficiently with minimal waste. We pride ourselves in saving you money. How? By getting you up and running quickly and smoothly. We service most makes of PLC, DCS, VFD, Robotics, Vision Systems and servos with a history of getting back to our customers within 4 hours of any machinery or automation control system emergency. And, since we specialize in serving California and Tijuana Mexico, you dont incur expensive travel and lodging costs, or long waits for someone to get to you. Proud Member of the OCC! 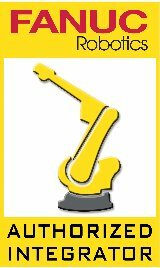 Industrial Prosoft Solutions is proudly a member of the FANUC America Authorized System Integrator Network.